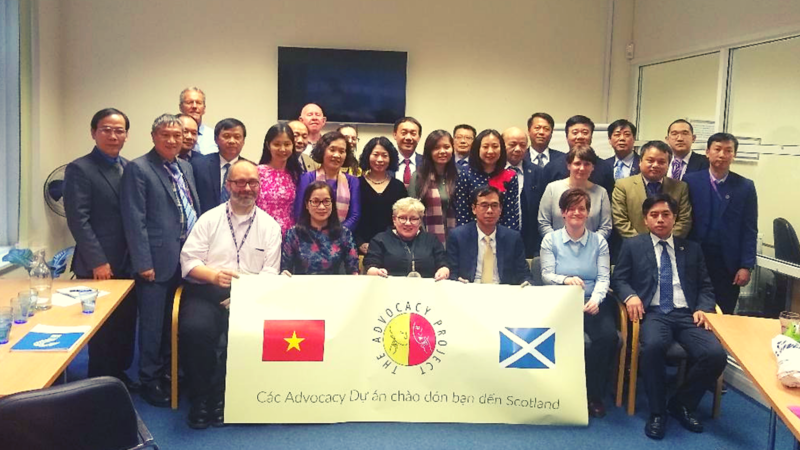 The Advocacy Project was delighted to welcome 22 government ministers from the Ministry of Social Insurance (Social Security) in Hanoi, Vietnam, organised by City of Glasgow College. The ministers travelled to the UK to discover more about community engagement and how we access and support advisory and support services. 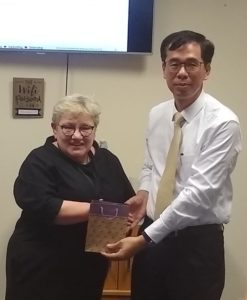 They were particularly interested in the services of The Advocacy Project, and umbrella organisations such as Scottish Independent Advocacy Alliance (SIAA), as these services are not available in Vietnam. 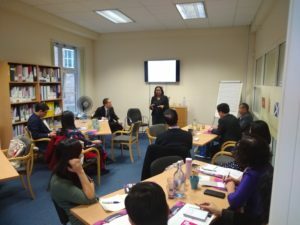 The group were welcomed by The Advocacy Project CEO, Moira Nicholson and were offered traditional Vietnamese coffee and cream, which went down a storm. Shaben Begum, Director of SIAA, explained the role and requirement of independent advocacy. At any one time in Scotland, 21% of the population have a statutory right to advocacy. Shaben spoke of the campaign to promote the inclusion of the right to independent advocacy in the Social Security (Scotland) Act 2018. Disabled people now have a right to advocacy under this new legislation and the campaign continues to ensure that everyone has a legal right to independent advocacy if they need it. Our Operations Director, Gerry McGuire, spoke of the Key Benefits and Outcomes of Independent Advocacy for People and The State, whilst Co-ordinators Olivia Fitton and Ann Lafferty discussed What Works Best and Who is Best to deliver independent advocacy. Team Leader, Antoinette Quinn, led the final session of the day with a lively game of ‘Advocacy is… Advocacy isn’t…’ which was designed to test their knowledge on the role of advocacy. The results were tight as each group had grasped the concept of advocacy well but one group pipped the rest to the post for the, much coveted, prize of the bottle of Whisky.